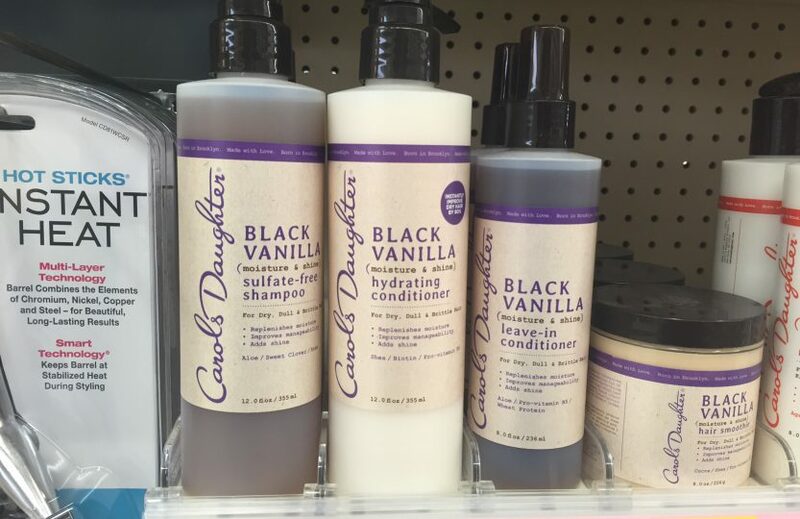 I can’t recommend Carol’s Daughter Black Vanilla (moisture & shine) Hydrating Conditioner because it has acrylates. Lots of them. 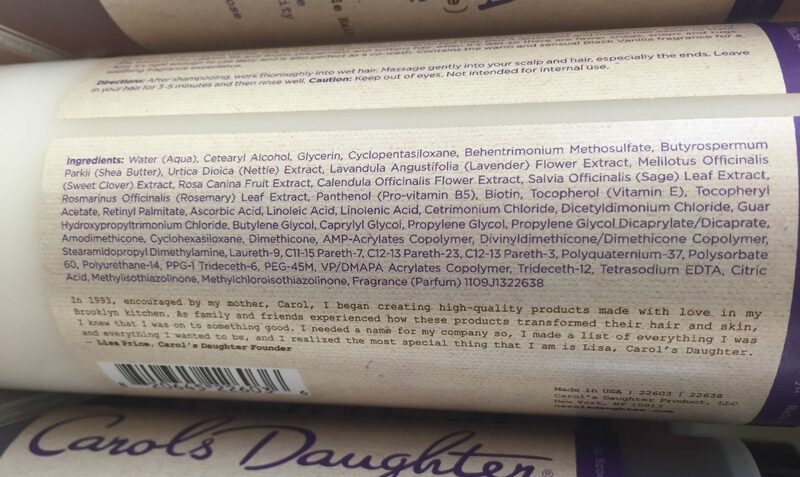 The ingredients start off well, but by about line five this formulation is a no go. I know I’m paranoid, but acrylates are a deal breaker. They will build up in your hair and make it as sticky as a sticky note (these are ingredients commonly found in products like hair sprays, gels, and mousses). I learned this the hard way in high school. So I not only had (at the time) chemically damaged, broken, falling apart hair, but it became sticky from repeated use of a favorite shampoo and conditioner because they both had acrylates in them. I had no idea what they were at the time, but after that experience (washing and washing and washing my hair as it got stickier and stickier and I couldn’t figure out why and getting more upset with each washing), I am rabid about avoiding them. This product has several types of acrylates and other sticky items in it.